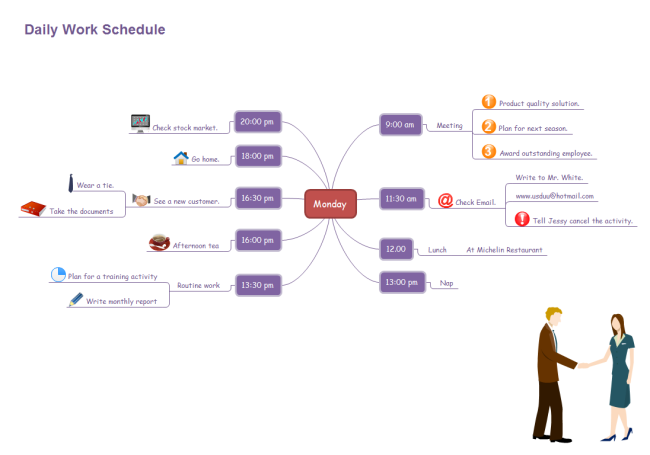 This mind map maker supports exporting a mind map to gantt chart. 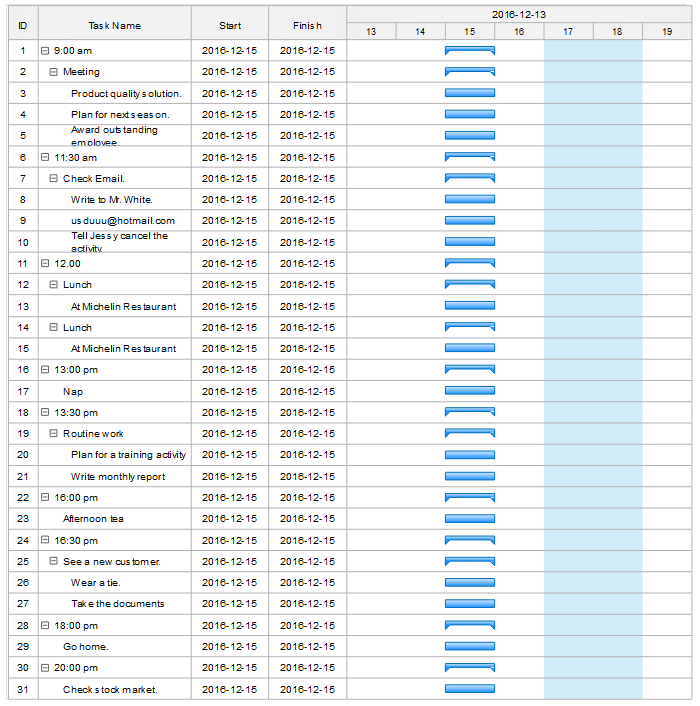 Mind maps created on this software can be exported to gantt chart easily. Mind map is an efficient way to manage and analyze a project. The first step is to start a project to create a mind map to visualize the scope of the project, then export it into the form of gantt chart to identify the timeline and the processing path of the project. With great compatibility, this can be easily achieved on Edraw. Mind maps on this software can be exported to gantt chart automatically without the need to type in the information all over again. Open a ready-made mind map on Edraw or create a new mind map. 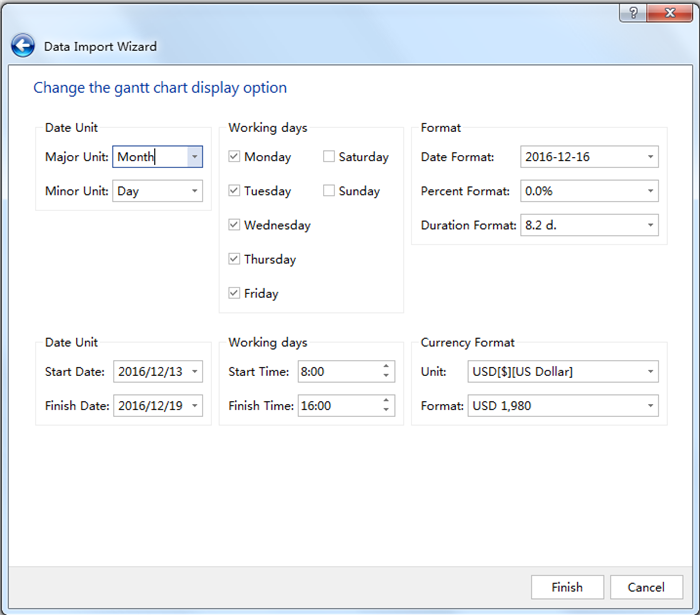 Tip: On the popup page, check the "Data Import Wizard"
"Change the Gantt Chart Display Option"
Hit the "Finish" button, then the mind map will be successfully exported to gantt chart. 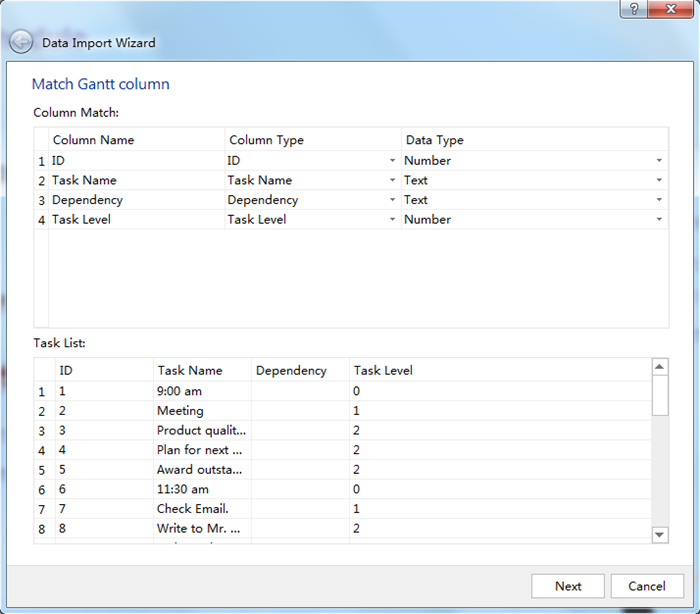 Tip: Click on the "Gantt Chart" tab on the drawing page, and edit the chart if needed.